Federal election filings reviewed by ABC News support her allegations that payments were made but do not indicate whether the payments were contingent on signing some kind of nondisclosure agreement. All Trump campaign staffers were required to sign a nondisclosure agreement upon joining the campaign. After Trump took office, some White House staffers signed similar agreements, but it is unclear how enforceable such agreements would be for government employees. 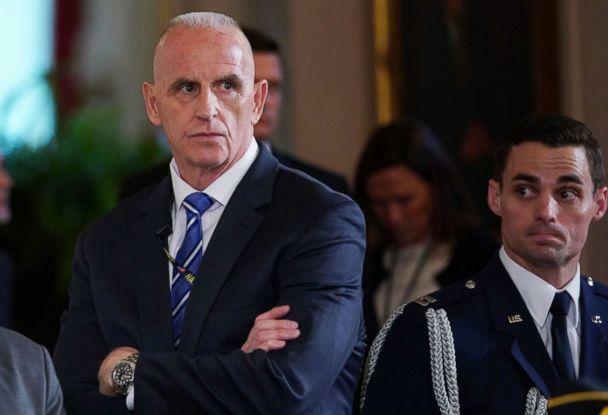 A number of former Trump aides – including two who served in sensitive positions in the White House – have been paid roughly $15,000 per month by either the Trump campaign, the Republican National Committee or America First PAC, a political action committee dedicated to Trump’s re-election for various services described only briefly in filings. One of Sanders’ predecessors behind the podium, however, did address the accusations and was similarly forceful in his denial. 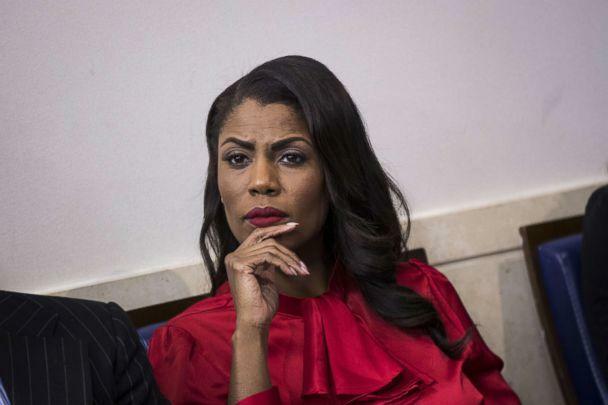 Manigault Newman alleged that Trump’s former press secretary Sean Spicer signed a non-disclosure agreement similar to the one she was offered, which Manigault Newman says would have prohibited her from making any comments that could damage the president. "Which is why Sean Spicer described Donald Trump as a unicorn jumping over rainbows,” Manigault Newman told NBC News. “It’s because he signed this same agreement." Spicer called her claims "completely fictional," telling ABC News that he did not sign a non-disclosure agreement and called her assertion that he was paid hush money "false." There are no listings in federal election reports showing payments to Sean Spicer or RigWill LLC, his communications consulting firm, since Spicer left the White House. Records show a number of payments to former Trump aides – or firms owned and operated by former Trump aides – who have been tied to some of the recent scandals plaguing the White House. The RNC has been paying KS Global Group, Schiller’s private security firm, $15,000 per month since Schiller left government in October of 2017, according to the records. Schiller, the longtime Trump security adviser, was interviewed by congressional investigators as part of their ongoing probe into Russian efforts to interfere in the 2016 elections, where he answered questions about Trump’s now infamous 2013 trip to Moscow. The RNC has said the payments were for Schiller’s help in preparing for the 2020 national political convention, but Schiller could not be reached for comment. The Trump campaign has been paying McEntee about $14,000 per month since he left the White House in March over what sources said were “issues with his security clearance.” McEntee, who shadowed the president during much of his first term as Trump’s “body man,” was hired by the campaign within hours of being escorted from the White House. McEntee declined to comment, but sources familiar with his role say he was working on voter engagement, surrogate messaging and campaign event planning but recently told campaign officials he intends to leave his job at the end of this month. America First PAC, the political action committee backing Trump, and the RNC have paid Parscale in 15 separate payments of $15,000 from March 2017 to June 2018. Parscale, the former head of the 2016 campaign’s digital media outreach effort, is now the campaign manager for Trump’s nascent reelection bid. The RNC also made monthly $15,000 payments between mid-2017 and mid-2018, amid several other sizabale payments, to Direct Persuasion, a consulting firm owned by Gary Coby, a former RNC digital specialist who helped manage online advertising during the 2016 campaign. The social media outreach efforts that Parscale and Coby worked on have since become a focus of the ongoing special counsel and congressional investigations into Russian interference in the 2016 elections. A campaign official said the payments to Parscale were not related to a “hush agreement” and were for “services rendered” but would not elaborate on what those services were. Parscale, like many other campaign officials, signed a non-disclosure agreement. Coby declined to comment, but a source familiar with Coby’s work at the RNC said the payments were for actual digital advertising advice, not for his silence. ABC News' Meridith McGraw and Soo Rin Kim contributed to this report.